Science fiction is unique in its ability to tell stories. While most other forms of fantasy and fiction allow for the discussion of human nature, philosophy and politics, only science fiction allows for the discussion of the interplay between them and science. A lot of modern science fiction coming out today is horrible, focusing on giant bugs or attack from obscure aliens with no clear motive or discussion of the technology being employed. In these stories, the aliens are no better than having a story based on elves or ghosts. Arthur C. Clarke, being aware of this, went out to create the “good science fiction movie” (Clarke, 2001: A Space Odyssey ). From this he set out to write 2001: A Space Odyssey. 2001 was not a lone book though. 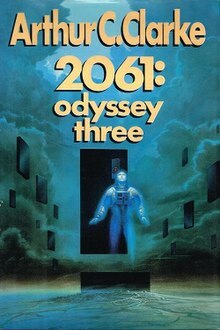 Inspired by birth of the space age, Arthur C. Clarke went on to write 2010: Odyssey Two, 2061: Odyssey Three and finally 3001: The Final Odyssey. The focus of these books is on actually telling a story through the use of real science and what technologies might plausibly arise in the fifty years between when the book was written and the time the book was set in. It is the goal of this essay to show that, while the technology of 2001: A Space Odyssey may seem outlandish by even today’s standards, it is far from impossible. In order to understand the novels, you much first understand the life of the author. Arthur C. Clarke was born on December 16, 1917 in England. “Following service as a radar instructor and technician with the Royal Air Force in the Second World War, he honed his scientific acumen working as an editor for the academic journal Physics Abstracts, while earning a first-class degree in mathematics and physics at King’s College London” (Benford). With this highly technical background he had no problem understanding the scientific papers coming out around that time period. His expertise was so refined that “in 1945, he proposed the use of satellites in geostationary orbits as communications relays. Clarke never patented the idea, but promoted it ceaselessly” (Benford). Geostationary orbits have revolutionized modern communications and allowed for faster growth through the interconnected financial institutions of the world. Clarke died on March 19 2008. In 1968, Clarke wrote the first book in the series 2001: A Space Odyssey. The book was a major success and with NASA further exploring the solar system during the next 14 years, other books had to follow. 2001: A Space Odyssey starts off with the evolution of man. A group of man-apes are existing in a cave but only just barley. 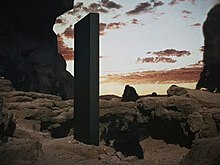 Suddenly, a black monolith falls from the sky and over time teaches the man-apes hunting and tool use. It isn’t much but it’s enough to trigger an evolutionary response leading to Homo sapiens. The book then transitions to 2001 when a magnetic anomaly is found in the Tyco crater (TMA 1). Upon TMA 1 being unearthed a signal is sent to the planet Saturn. For clarification, in the novel 2001: A Space Odyssey the plan was to make a trip to Saturn, however in the movie that changed the location to Jupiter because they did not feel they had the budget to do Saturn justice. All the other books in the series revolve around the plot of the movie. The bulk of the book involves the crew of the Discovery One flying to Saturn to try and determine what the signal was about. The two crew members, David Bowman and Frank Poole, were sent as an exploration team but with no knowledge of the alien aspect of the mission. The time span for this trip would have been hard for humans during an extended stay in a zero gravity environment. Because of they the characters were kept in a spinning dome capable of simulating moon gravity. The onboard computer, Hal 9000, was told to keep this information from them, which contradicted its ethical programing. This dilemma would be acceptable for a person but not for a purely logical machine. As such, Hal was driven insane and killed off the all of the crew but David. Once Hal was shot down, David continued the trip and, when met with another alien monolith (TMA 2), was uploaded as a “Star Child”. In 2010: Odyssey Two another mission was sent to Jupiter. The Americans and Russians were both in a race to reach the ruins of Discovery One but its orbit was found to be decaying so Russia and the United States decided to team up in order to reach it in time. During the mission, China launched a bigger rocket in secret that was able to outpace Discover Two and make it to Jupiter a few weeks early. They landed on Europa, where they planed to use the water ice there as rocket fuel for the return trip. During that process, the Chinese ship was attacked by a large alien life form, confirming that life exists elsewhere in the solar system. Druing this time, the entity once known as David Bowman examines the planets in the solar system to see which ones harbor life. Once it is found that Europa is capable of harboring intelligent life but it unable to do so due to being completely frozen over, the decision is make to implode Jupiter and turn it into a second sun. The crew of the Discovery Two just made it out with their lives. At the very end of the book a message is sent to the people of Earth from TMA 2 which only states “All these worlds are yours, except Europa. Attempt no landing there” (Clarke, 2010: Odyssey Two). In 2061: Odyssey Three, Heywood Floyd was taking a vacation on a new ship with a built in ion drive. The drive was fast enough that it can take the trip from Earth to any planet in the solar system within a matter of weeks. While on the vacation another ship crashed on Europa and became the first people to visit since we were warned away. Floyd’s ship was the only one with the power to get there and rescue them. In 3001: The Final Odyssey, the body of Frank Poole was found frozen in space and, with the extreme cold and dry conditions, was still preserved enough that the more advanced people in 3001 were able to bring him back to life. The story of a future is told from his perspective. At the end of the book, what use to be David Bowman showed back up with a message. The aliens that built the monolith saw what we were like in the 20th century and and decided that we were a danger. Bowman thought we were worth saving and planted a logic bomb into the monolith, keeping it from doing any harm. It’s a great story but what really drives it is how the development of technology is presented in the book. The first, and by far most recognizable, piece of technology is by far their artificial gravity. In most science fiction, artificial gravity is just something that works and is assumed to be done by technology that is just above and beyond anything we currently understand. Arthur C. Clark goes the next step however in actually providing a mechanism by which gravity can be simulated. He was by no means the first to propose such an idea but he is the most famous as it was presented in the movie 2001: A Space Odyssey, which came out at roughly the same time. This means that the speed at which the dome had to of been spinning at is v=3.6 m/s (8 mph). This speed is not very fast at all and should be within the realm that could be realistically done if we ever decide to build a ship of this nature. Artificial intelligence is one of the other most recognizable aspects of the story as well. The 2001: A Space Odyssey was famous for its depictions of the Hal 9000. During the trip to Saturn, only two people were left conscious. David worked one shift while Frank took the other. The shifts were 12 hours long so one would be coming on while the other was finishing his shift. Because most of their time was spent alone millions of miles away from civilization there was a concern over them being driven crazy by the isolation. As such Hal was put on not just as an on board computer but also as a second team member (Clarke, 2001: A Space Odyssey ). This raises the question, however. 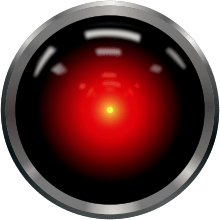 Was Hal just a program that could simulate a human persona or was Hal a conscious being in his own right? This question is not in itself new. In 1950, just 18 years before the book was written, Alan Turing was asking this very question. In his paper Computing Machinery and Intelligence he proposed a test that could be used to determine if a machine was demonstrating true consciousness or if it was just acting out a program that was able to mimic a living being. What Turing proposed was to present a computer and a person to a judge. The participants would be shielded behind a curtain to keep the judges from being able to know which participant was which. The judge would then have a conversation with both the person and the computer. If the judge was unable to tell the difference between the two participants, then it would be said that the computer must hold some sort of consciousness. The computer would be said to pass the Turing test (Turing). Surely creating a machine that is capable to passing the Turing test in impossible, right? Or at the very least, it is beyond what modern computer technology can do. This is a comforting thought as it keeps the robotic revolution in the realm of fiction. News came out, however, a few months ago that a computer was able to successfully pass the Turing test. This was a bit of a misnomer. “I did get a chance to talk to Goostman, before the droves of people wanting to do the same crashed the servers. Despite Oz’s harsh critique (he tends to go a bit overboard), I have to truthfully report that he’s good. Far from perfect, but not bad. Goostman makes all the mistakes the chatbots before him have made: he dodges questions, he changes the subject, he makes vague answers, he repeats things back to you in ways that no normal human does in a cute attempt to show that he’s listening, and of course he says really stupid stuff that doesn’t make any sense. Goostman’s creators explain his quirks away by giving him a fictional back story. See, Eugene is a 13-year-old Ukranian kid. He has favorite foods and a pet guinea pig, and he feels okay derailing important interrogations to tell you these things. I would have shot him as a replicant ages ago” (Naro). What happened was that, of thirty judges, only ten were convinced that what they were talking to was an actual person and not a simulation. This may not be all that impressive, however Turing predicted this bench mark would happen around the year 2000, so it really wasn’t that far off. (Naro) While Hal was a fully functioning AI by the year 2001, this is something we still seem to have issues with. 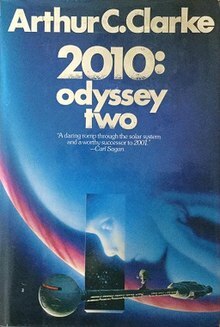 Even if we were able to come up with a computer able to pass the test, the question presented in 2001: A Space Odyssey and again in 2010: Odyssey Two still remains. When Hal was unplugged for the last time he asked a very pointed question, “will I dream Dave?” (Clarke, 2001: A Space Odyssey ) This is not a question a computer would normally ask nor would it really be something that a programmer would introduce during a shutdown process. The idea of dreaming is something unique to conscious beings and was the final hint that Hal was more then just a jumble of one’s and zero’s. Todays’ computers are nowhere near that advanced even though we are thirteen years beyond the era the book was trying to portray. This should not be taken as an argument against a true AI however. The idea of a computer passing the Turing test is still quite possible and in a few decades, may be considered commonplace. AI’s are considered to the among the pinnacles of technology, however, even they would have a hard time transversing interstellar space on anything other then a radio transmission. As such, in 2061 Odyssey Three, a new form of engine was introduced. When we think of most rockets, we picture either the space shuttle or one of the old rockets used in the Apollo program. Both of these systems used chemical fuel even once they made it into orbit around the Earth. A problem with this is that fuel is heavy, which requires more fuel to get it into orbit, which requires more fuel and so on. Ion drives propose a solution for navigation once you get up into space. 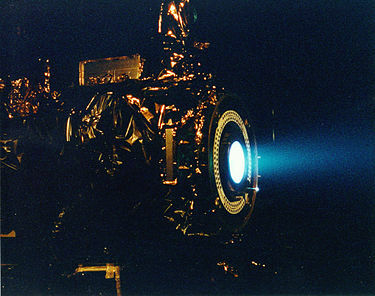 “Inert-gas ion thruster technology offers the greatest potential for providing high-specific-impulse, low-thrust, electric propulsion on large, earth-orbital spacecraft” (Poeshel). They work by propelling a very low density gas out of a thruster electronically. They are able to get the gas to extremely high velocities. 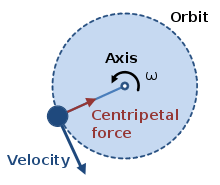 The result is that each atom is able to provide a tremendous amount of thrust; however, since it is kept at a low density, the overall thrust is kept low. They also solve the propellant problem of chemical based rockets. Since they use electricity to ionize their propellant they don’t need to drag along quite as much fuel. They don’t have the thrust to escape Earth but are ideal for orbit corrections or bringing a probe up to a high velocity over a long period of time. These are fine for probes and satellites however not so great for human travel to the outer planets. NASA states that the early ion drives “can be operated on xenon or argon propellant to produce 0.2 N of thrust at a specific impulse of 3000 sec with xenon propellant and at 6000 sec with argon propellant” (Poeshel). However in 1987 Arthur C. Clarke decided he needed to go faster. His ion drive was nothing special in and of itself. No technical specifications were ever given or any real mention of why it was better than all the others. What did make it special was its use of cold fusion. This may be comical by today’s standards since cold fusion is right up there with the philosopher’s stone however, at the time of publication, news of cold fusion was brand new. Since cold fusion has been found to be impossible since the publication of the book, it is unlikely that any technology will ever be found that can emulate this rocket design in real life. Luck, as it would have it, is on the side of modern innovation. A company called Ad Astra Rocket Company has recently come out with a new rocket propulsion technology called the Variable Specific Impulse Magnetoplasma Rocket (VASIMR). “In a VASIMR® engine, gas such as argon, xenon, or hydrogen is injected into a tube surrounded by a magnet and a series of two radio wave (RF) couplers. 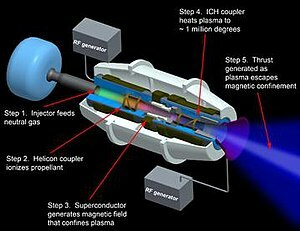 The couplers turn cold gas into superheated plasma and the rocket’s magnetic nozzle converts the plasma thermal motion into a directed jet” (Astra). The engine works in two stages; it becomes ionized by the RF waves and becomes “cold plasma”. Cold plasma is a bit of a misnomer however. The plasma in this stage is still roughly the same temperature as the surface of the sun. This plasma is then sent to the “Ion Cyclotron Heating (ICH) section” (Astra). Here it is heated to roughly the same temperature as the core of the sun. Once the plasma is super-heated, it is expelled the way any regular propellant would be. “The rocket uses a magnetic nozzle to convert the ions orbital motion into useful linear momentum resulting in ion speeds on the order of 180,000 km/hr (112,000 mph)” (Astra). Arthur C. Clarke was a revolutionary. Unlike a majority of modern science fiction writers he did not just use science as a convent plot device or as a useful tool for social commentary. He inspired a future generation to innovate for a better tomorrow. He envisioned a world capable of travel to the outer planets, using sentient computers and artificial gravity inhabited by man as well as aliens. Later, he introduced the idea of life on Europa and how aliens may intervene in their evolution in the same manner they did in ours. Later on, he used advances in propulsion technology to shrink the size of the solar system in much the same way the steam boat and telegraph did to ours. Finally, in 3001, he brings up the idea that as technology increases and we are able to spread out into the cosmos we will finally be able to get beyond our let go our selfish desire for war and live in a utopia. Arthur C. Clark was very much an optimist, but his vision of the future is not entirely impossible. Astra. Astra -VASMIR. n.d. Web. 30 June 2014. Benford, Gregory. “Obituary: Arthur C. Clarke (1917–2008).” Nature (2008). Clarke, Arthur C. 2001: A Space Odyssey . Penguin Group, 1968. —. 2010: Odyssey Two. Random House Publishing Group, 1982. —. 2061 Odysse Three. Random House Publishing Group, 1987. —. 3001: The Final Odyssey. Del Rey, 1997. Naro, Maki. Popular Science. 11 June 2014. Web. 30 June 2014. Poeshel. “Development of Advanced Inert-Gas Ion Thrusters.” 1983. Tipler, Paul and Gene Mosca. Physics for Scientist and Engineers. MPS, 2003. Turing, Alan. “Computing Machinery and Intelligence.” Mind (1950).